EXHILARATING VIEWS OF THE ISLAND FROM A 5 BEDROOM CONDOMINIUM-HOME AT THIS AMAZING VALUE! 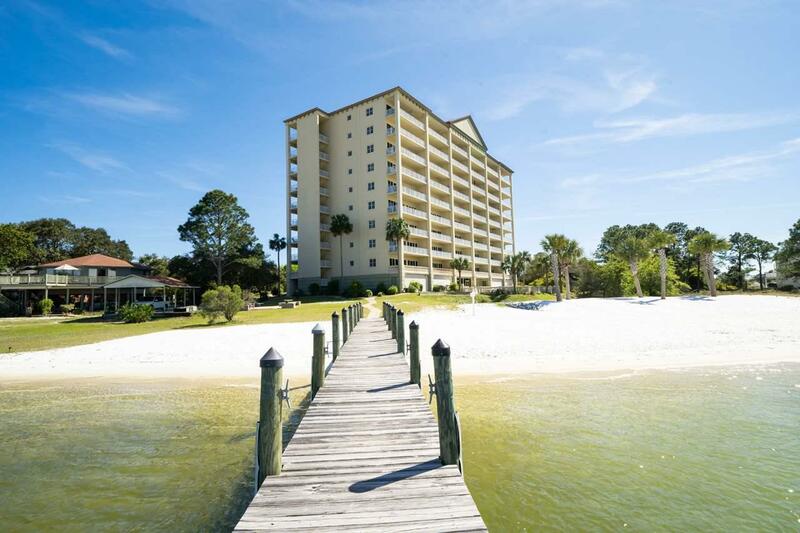 Two levels of 30' Balconies & Terraces showcase the sunrise to sunset experience on Perdido Key. This 5 bedroom fully furnished townhome-style residence is truly a "condominium home" with 3,100 sq ft of living area. 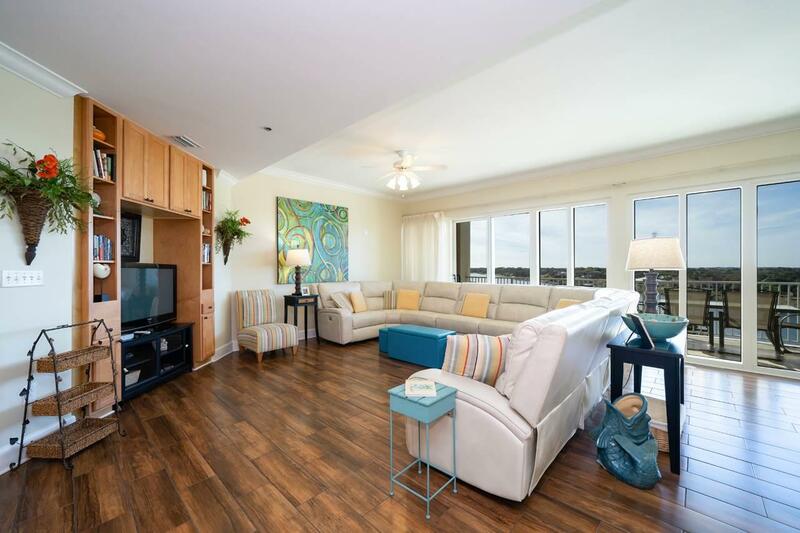 The front and rear balconies on BOTH levels afford fantastic views of the Gulf, Bay and Intracoastal Waterway. The split level floor plan offers plenty of privacy and living space. The Main living area and Master BR are located upstairs and four guest quarters are located on the first level. Both can be accessed from the main elevator & southeast terrace. The Main living area features built-in cabinetry and bookcases. 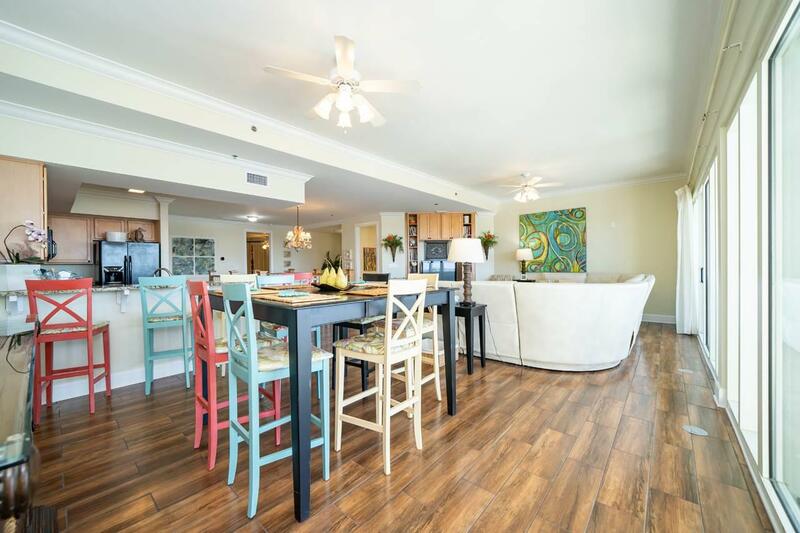 The kitchen is equipped with stainless steel appliances, granite countertops, pantry & full panoramic view of the intracoastal. The Master Suite is spacious with bathroom including double vanities, built-in cabinetry for linens, walk-in closet, separate shower, and jetted tub. 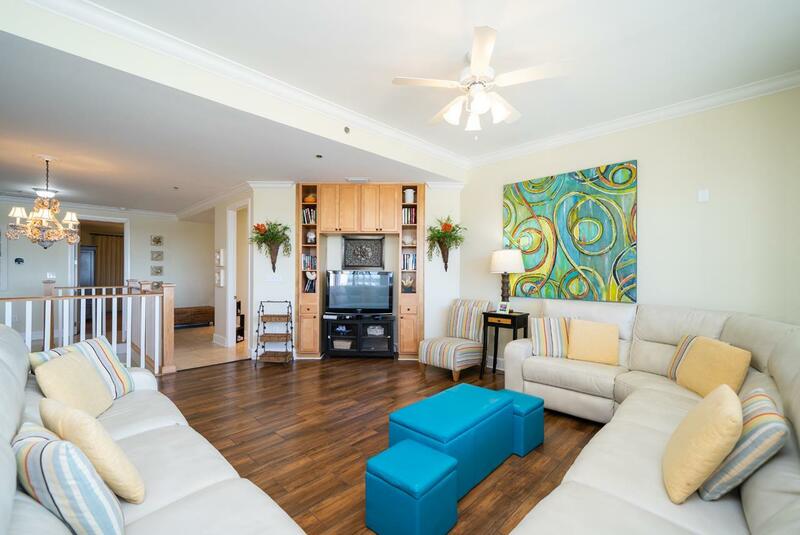 Within the past couple of years, this condo has new paint, new flooring and 2 new AC units. This condo also comes with a large, climate controlled storage on the ground level. Residents and guests enjoy a sandy, private beach on the Intracoastal Waterway plus a boat pier to dock your boat or Jet Ski. Amenities also include zero-entry swimming pool, fitness center, and cinema. Convenient portico keeps you out of the weather while loading and unloading groceries or luggage.